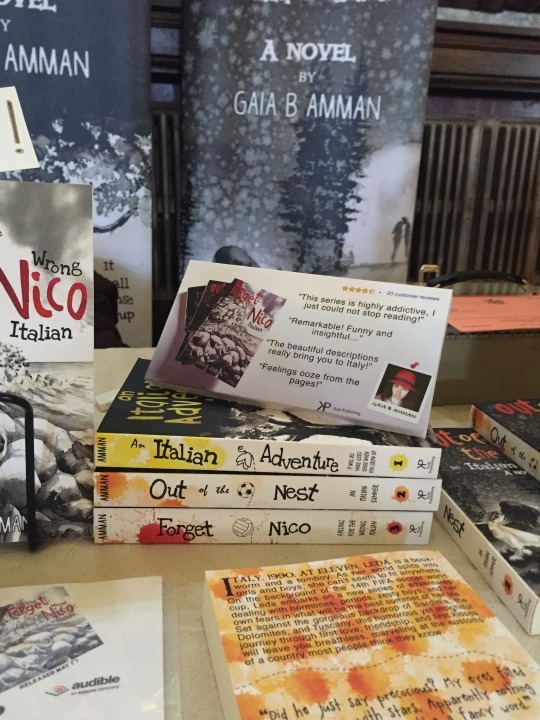 I will review guidelines to get through the most popular indie publishers: Create Space (distributes paperback through Amazon), and IngramSpark (distributes paperbacks through bookstores and libraries), but you can easily translate these tips to other presses. 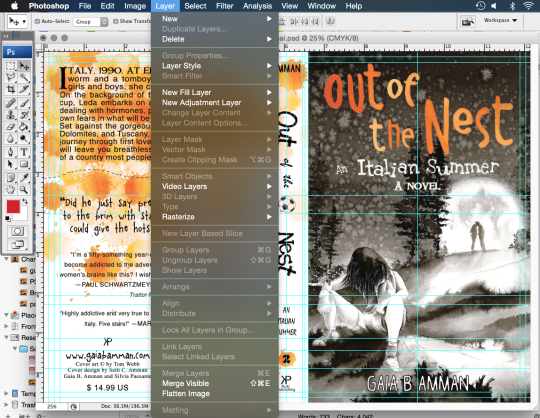 1-In order to design you final cover you need the final, formatted PDF of the interior of the book. I once made the mistake of preparing my cover before proofing. 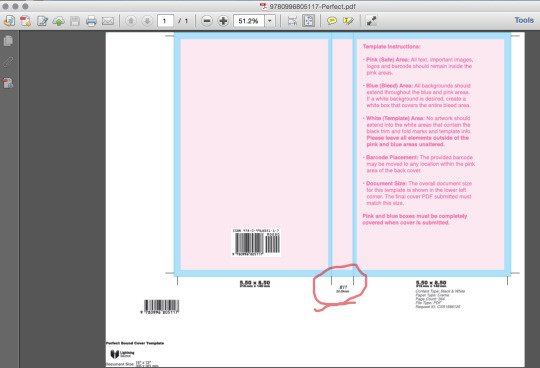 The PDF ended up one page short and, believe it or not, I had to adjust the cover (after receiving a messed up proof). 2-Don’t make the mistake of selecting a very small type for your interior! I know that the thinner the book the cheaper the cost; but no one will buy a slim-looking book with illegible type. I recommend at least size 12 of a simple, standard type. I personally use a type 14. 3-Decide the size of your book. Don’t choose lightly, go to a bookstore or a library and check books in your genre. Which size is more common? What size do you like best? For my books I chose 8.5” (hight) and 5.5” (wide). This is the size of the front (or back) cover. The width of the spine will depend on the number of pages, your printer of choice, and the type of paper you select. 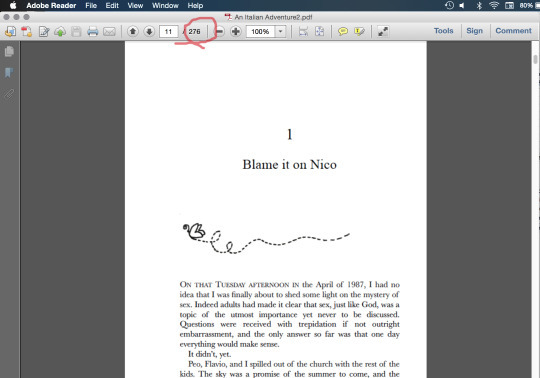 To find the total page number of your PDF: open the PDF and look at the total as indicated in the figure below. 2-Calculate the overall size of your cover. 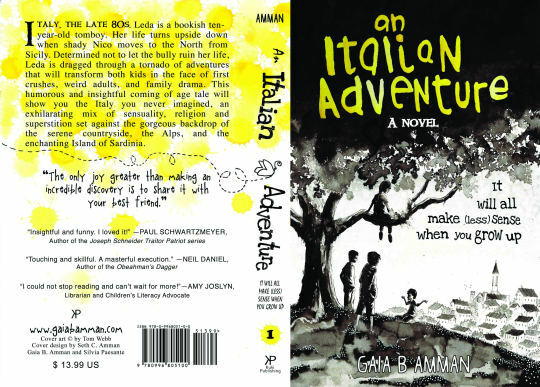 The cover will need to be designed as front cover, spine, and back cover, all in one file as below. To do this you have to add the width of the front cover, the width of the spine, the width of the back cover and 0.125” of bleeding space for each cover (back and front). 5-Flatten the image. Once your cover is finished “flatten the image” to discard editable layers (this will greatly reduce the size of your cover’s PDF). DO NOT SAVE YOUR FILE NOW OR YOU WILL LOSE THE ABILITY TO EDIT YOUR COVER! IngramSpark makes it easy for you to make a cover by providing a template. 2-While logged into IngramSpark click the help tab at the top right of the page, and then choose tools on the left menu. Click on the cover template generator (or click the link to go there directly) and provide the information required. Select PDF as an option (unless you are working with inDesign). IngramSpark will e-mail you a perfect template PDF.